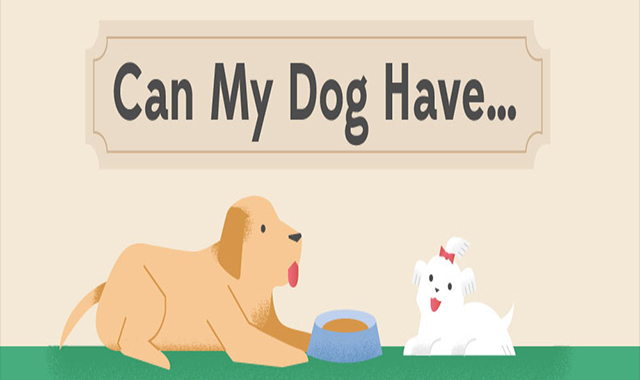 Can My Dog Have #infographic ~ Visualistan '+g+"
“Can my dog have [insert “people food” item here]?” We’ve all asked our vet/the internet about sharing with our pups at one point or another. (Who can say no to those eyes?) It can be hard to guess which snacks could be harmful to your furry friend, but hopefully this infographic helps!